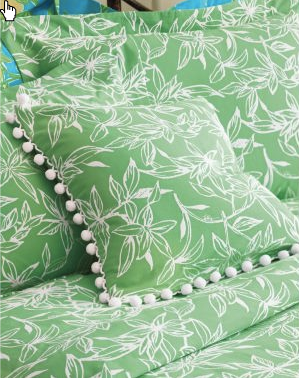 What's lime green and powder pink and patterned all over? 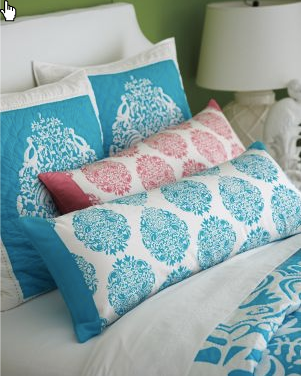 The new Lilly Pulitzer home collection! It may be too early to break out the cotton sheaths and pom pom trimmed skirts, but you can have spring in your bedroom right now. 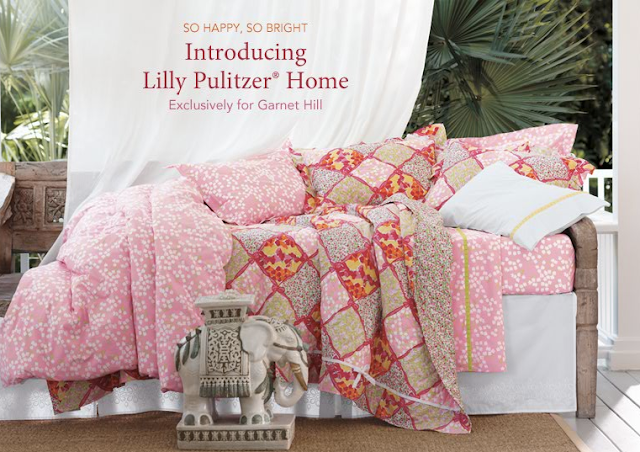 Lilly's done a fabulous job on this collaboration line with Garnet Hill. 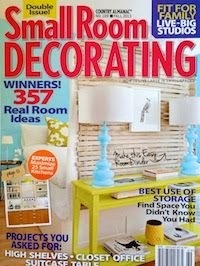 The pink and white papercut pattern (against Kate Spade green walls) and green leaf print are my favorites. What are yours? Available at Garnet Hill. I'm impressed! 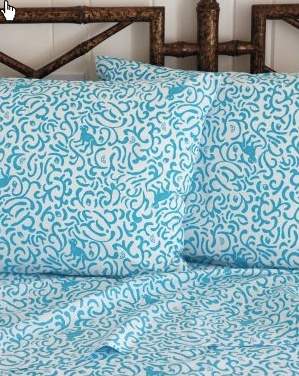 My favorite is definitely the turquoise bedding. Laughing a little at Averill's comment, only b/c I def. had my Lilly in the early 2000's!! Pink and green strapless sundress and I had some good time in that thing! 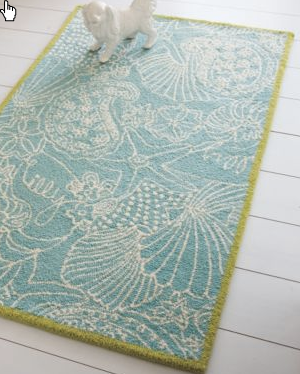 Perfect for a beach house!! Congrats Ms. SF on the mention by Atlanta mag!!! Wahooo! have always thought her things had a place in the fashion world, and a time-She definitely has cult following. This collection looks good, shockingly affordable.